You do NOT have to be a PTA member to attend the monthly PTA Meetings. For everyone interested in hearing about what’s going on at Bixby. The meeting is usually scheduled for the second Tuesday of each month (none in December) and is held in the cafeteria, with pizza and drinks served at 6:15pm, and the meeting beginning at 6:30pm. The PTA Board presents minutes from the previous meeting as well as the proposed budget, and discusses any ongoing business and upcoming plans. Bixby parents and teachers are invited to discuss upcoming events and ask questions, and sometimes we have a guest speaker or two. All students gather with their classes on the playground. Our principal gets us motivated, and various classes perform the weekly opening presentations. On the first Monday of each month, we have a Call To Order to celebrate our Students of the Month. First major fundraiser of the school year. Varies (past includes Signature Wrapping Paper, Charleston, or chocolates and cookie dough or first aid kits). Runs for approximately two weeks. Percentage of all purchases goes back to Bixby. Late September evening fun for all Bixby families! Bring a blanket, chairs, and your family and gather together on the lawn near the lunch benches. Meet other families and enjoy fun events, such as: Music, Face Painting, food trucks, activities, a raffle, and more! The PTA always welcomes any donations or help you can provide on the afternoon/evening of the event. Bixby’s Student Council decides on Spirit Days and themes each school year. During school, on designated days, students have the opportunity to dress out of the ordinary. Blast to the Past Day: dress up in 50’s, 60’s, 70’s,etc. Clubs are held once a week for 4 weeks and last for 1 hour. The club leader/teacher will collect your child from either the playground, WRAP, or Kids’ Club after school at the club’s starting time. They will also return your child to WRAP or Kids’ Club when the club ends. $20.00 and a completed application form (along with any applicable materials fees) reserves your child a spot. Scholarship forms are available in the front office, and can be used once a year. During a designated set of hours on a designated evening, a percentage of your meal purchases goes back to Bixby. Some years we have a McTeacher Night at the local McDonalds (where teachers and staff help serve students and guests their food orders, and a percentage goes back to Bixby!). Other restaurant fundraisers have been at Polly’s Pies, Ruby’s Diner, and The MarketPlace. Held during school hours, and after school during Open House. Parents, students, and teachers shop for all sorts of books and other fun items, and help Support Bixby’s PTA! Students can dress up in costume (after class) and join classmates and faculty to play festival games for prizes and spend Beaver Buckaroos on popcorn or cotton candy. Many volunteers are needed for this fundraiser! Largest and most important fundraiser of the year. Since the costs are so low (most prizes/time are donated), the school keeps nearly 100% of the money collected! Every student participates in 30 minutes of activities at several fun stations (hula hoop, basketball, zumba, etc. ), while music plays and parents and teachers cheer the students on. Prizes are based on the amount of donations earned by each student, and are cumulative (Example: $10 earns a small prize and a Free Dress Pass. $20 will receive the above, plus an In-N-Out gift certificate, etc.). Once a year in Springtime, a published Author comes to Bixby and shares their journey of writing with Bixby kids. This is a great opportunity for parents to join in, and to buy a signed copy of the Author’s book! They help keep Bixby clean and beautiful by planting, weeding and cleaning the Bixby grounds. Are you on Facebook? This page is an informative, up-to-the-minute Bixby parent-run page made for other busy Bixby parents just like you! 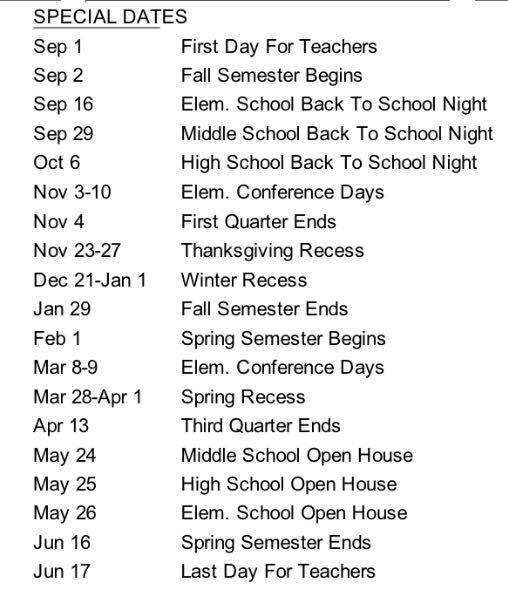 “Like” this page at www.Facebook.com/BixbyElementary to stay up-to-date on information, announcements, and school reminders. You can also find Bixby Beavers on Twitter: @bixbybeavers. Held after school/evening at the beginning of the school year. This is a night for parents to visit their children’s classes, meet the teachers and staff, and learn about the Bixby Way! It’s also a good time to sign up and learn about VIPS (volunteering in public schools) and Room Rep volunteer time. LBUSD holds an annual Science event promoting science projects. Bixby participates every other year. Students follow teacher specific guidelines and perform science experiments. A percentage of students’ projects are chosen by Bixby judges to be shown at a later date at the LBUSD District Science Fair. Those experiments chosen at Bixby are also on display at Bixby’s Open House in the Bixby Cafeteria. On the years that Bixby does not participate in the Science Fair, we arrange for an art competition, and the students’ artwork is displayed at Bixby’s Open House in the Bixby Cafeteria. A chance for all parents to see what their children have accomplished through the school year! Visit the classrooms and see your child’s projects and development. Once a year the PTA arranges a themed lunch for the teachers, along with gifts and awards. Students are encouraged to bring special items during the week working up to Teacher Appreciation Day (e.g., a flower on Monday, a picture on Tuesday, etc.). Information will be sent home ahead of time. Annual LBUSD event for students, grades 1-5. High scorers compete with other LBUSD schools. One week during the school year, students are taught about the importance of being drug free. Parent volunteers decorate the school with red ribbons for the week. Measure student progress toward college- and career-readiness. held after approximately 85% of the instructional year is completed. For grades K-5: before- and after-school care, for a reasonable fee. Free for grades 1-5: after-school care only, with requirements (pick-up times, attendance). *Events are subject to date/time changes or cancellations. Together we can make FUN happen!